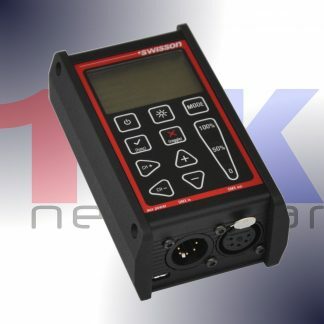 The SWISSON XPD-28 splitters boost, refresh and distribute the DMX signals of two inputs onto eight outputs. 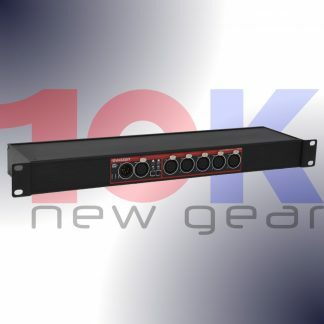 This allows for safely going beyond the 32 devices limit of the DMX standard, as well as for building star topologies. 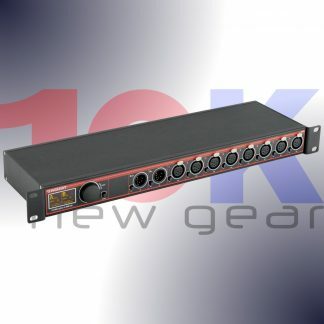 Moreover, the XPD-28 can be used as a repeater in order to transport a DMX signal across larger distances just as well. With XPD-28s you determine at the push of a button, to which input universe each output is connected. 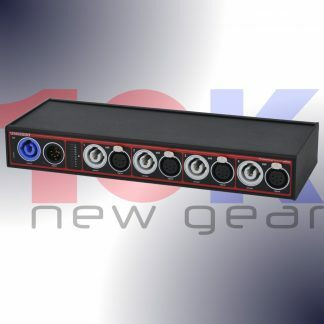 This allows for optimally utilizing the output ports in all situations. Thanks to ten output modes, you can always rely on the XPD-28 being able to generate an output signal that’s also understood by your legacy equipment. In spite of its features, the XPD-28 remains easy to operate with the help of an encoder wheel and eleven additional push buttons. The OLED display of the XPD-28 contributes to the intuitive operation as well and provides valuable key information on the incoming signals, which can be most helpful when you need to trouble shoot or set up a larger installation. What is more, as a fully RDM compatible, bidirectional splitter, XPD-28 is a future proof piece of equipment.